Prominent & Leading Manufacturer from Chennai, we offer hydraulic elevator, hydraulic residential lift and mini hydraulic lift. Min Lift Height Minimum 6"
With enriched industrial experience and knowledge, we are providing an excellent range of Hydraulic Elevator. Our domain expertise enabled us to provide an exclusive gamut of Hydraulic Residential Lift that are widely used in multi-story buildings. 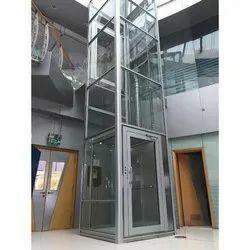 These elevators are highly durable as these are manufactured using premium quality raw material procured from reliable vendors. These elevators are manufactured by a team of expert professionals making optimum utilization of advance technology and modern tools & equipment. Offered elevators are fabricated as per th international standards and thus ensure excellent functioning. 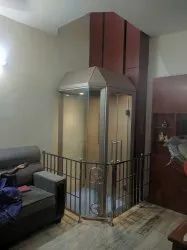 Customers can avail these elevators from us in various specifications in accordance with their needs. Looking for Hydraulic Elevators ?